Q: How would you define Meaningful Consumption? Kjaer: Our fundamental drive, the motivational engine that powers human existence, is the pursuit of meaning. So Meaningful Consumption is the extent to which a product or a service matches people’s emotional, spiritual and psychological needs. I also call this Emotional Consumption. Q: Why is Meaningful Consumption so much in focus at the moment? Kjaer: Money can’t buy happiness. Despite increasing affluence in the Western World we don’t feel happier. We see more and more people feeling empty inside, because they lack meaning and direction in life. With fragmented and time-poor lifestyles they are looking to seize the moment – any moment – and find meaning in it. The emergence of the so-called Yeppies (Young Experimenting Perfection Seekers) is a clear reaction to this social trend. Unlike yuppies, their aim in life is not to collect worldly goods, but as many life-enhancing experiences as possible. Q: In what ways do you think consumption is driven by consumer experience? Kjaer: Increasingly the global citizen is becoming pro-active, in that they scrutinise a company’s or brand’s philosophy as closely as the product itself. The 21st-century’s key drivers for customer-driven solutions are Empathy and Emotional Connection – reaching people in meaningful ways. Q: Why do you think we have moved from product-focused consumption towards cultural consumption – and what are the key social drivers behind this shift? Kjaer: As I said earlier money is not the key to happiness. There’s this emerging idea of ourselves as projects – meaning we pursue dreams, hopes and ambitions and see our ‘progress’ as an ongoing aim in life. Crucially we can do this because we are no longer labelled by our education or gender, or rooted to the social situation we were born in. It used to be: ‘I think therefore I am’. Then it was: ‘I shop therefore I am’. In the future our modus operandi will become: ‘I feel therefore I am’. Q: Who would you single out as leaders (both people and companies) in Meaningful Consumption? Kjaer: We see a big trend globally towards injecting more meaning into the brand. Companies must look at all levels of meaning. We call it empowerment branding – making your brand the best value for money, making it educational, inspirational and ethical. Tate Modern in London is a great example, alongside Apple. And now we are witnessing Bill Gates’s reincarnation as a philanthropist. We will see many more follow these examples – unavoidable in a world so full and yet so empty. Q: What will the future impact of Meaningful Consumption be for brands, services and products? Kjaer:The new breed of consumers has it all and yet they want more. Emotional engagement, education and entertainment are the magic words for the E(mpowerment) generation. Empowerment means being valued as an individual and having a clear vision not only of what you are buying, but the ethics behind it. Empathy, Emotion and Energy are already driving the super-demanding E-generation. Kjaer: Emotional values will become the driver and rational values the passengers. Rather than owning more, consumers will seek out personal sensations and satisfaction. Consumption functions like existential stimulation – the key is to have something new that rejuvenates and enables us to reappraise notions of time. Experiencing novelty and excitement stops people feeling old – and that is powerful magic! Q: What is the biggest challenge companies face in the future? Kjaer: First brands must embrace more human values. People don’t want to be labelled – they want to be engaged, educated and inspired. Second brands must develop a conscience. Consumers increasingly demand strong values and ethics, not empty promises and ‘me too’ pledges of commitment to a brighter and fairer future. Questions on time and meaning..
Q: How has modern society changed your notions of time? Kjaer: I used to feel I had all the time in the world. And I was always eyeing up the future, thinking: “I will do this or that tomorrow, next week or next year”. As I grow older I realise that the only way to recharge my batteries is to take time out, to simply relax and be content with where I am right now. Q: What is your definition of ‘quality time’? Kjaer: Quality time is always top of my priority list but I have more than one route to enjoyment. I guess invariably it’s doing the things – however simple – that have meaning. It might be doing something for someone close to me, spending time with friends and family or simply trying something completely new. Q: Why do people today feel they have less time? Kjaer: Well I am sure we could do a PhD on the diversity of reasons! But one obvious cause is that as society has speeded up so we feel an invisible pressure to keep up with it. Work is merging more and more with our personal lives and we find it very hard to simply switch off and relax. Exhausted by the pressure and speed of modern society and with more and more things to juggle, it’s easy to feel we are left with very little time to ourselves. Q: How do you feel the 24/7 culture has impacted on brands, products and services? Kjaer: In some way most brands, products and services are catering for a 24/7 culture. They give us the opportunity to bank and shop around the clock and products all promise us convenience. But something very essential is lacking. The faster we go the more chance there is that we crash. We already see that more and more people are moving away from the rat race to a more humane and comfortable ‘slow lane’ in the country. People crave a peaceful space to forget work and explore the fine art of doing nothing much at all. Q: Convergence technology is supposed to save us time. Is this your perception? Kjaer: The more convergence and ‘all in one’ options the better, but with one crucial caveat. I crave simplicity so if a product or service actually makes my life easier, without using up more of my time, than I am all for it. But I can live without the wonder product with a 300-page manual and legions of unusable features. That’s just bad design! Q: Has technology improved our quality of life or made achieving work/leisure balance more stressful? Kjaer: I find that I have become more efficient and love technology that adds new dimensions to my work. However it became a personal competition to see just how fast I could go, how much more I could achieve – and there you go, the never ending story. One day I woke up and said: “STOP”. I don’t want to try and break my personal best every day I want to enjoy life. Q: Can you give us a speed conclusion on Time and Meaningful Consumption? Kjaer: We are increasingly thinking not with our heads, but with our hearts and a new spirit is emerging. It’s a global desire to take time to make this world better for everyone. 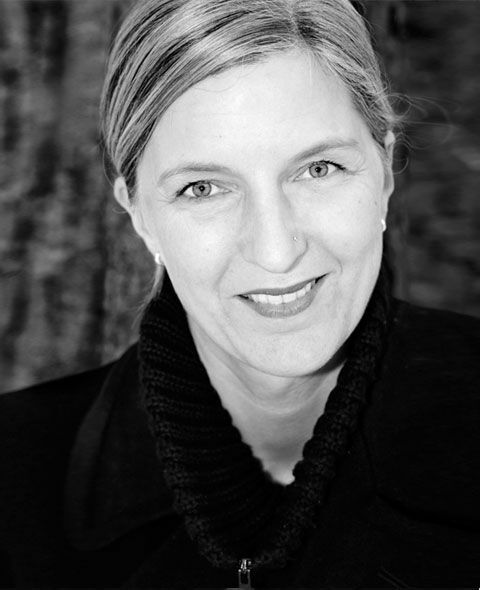 * Anne Lise Kjaer founded Kjaer Global, in Denmark in 1988, later moving via Berlin to London. * The company works with a broad range of global companies, from the motor industry to retail. * Reports and bespoke projects draw on the expertise of an international team of experts and researchers. So what will be the key focus of lifestyle technology in the coming years?